Google Search Console (formerly Google Webmaster Tools) is a free web-based SEO tool for webmasters to track both the indexing and crawling stats from Googlebot while also providing metrics to help optimize a website for organic visibility. This SEO tool is useful to monitor metrics and discover new insights to help increase your organic footprint. 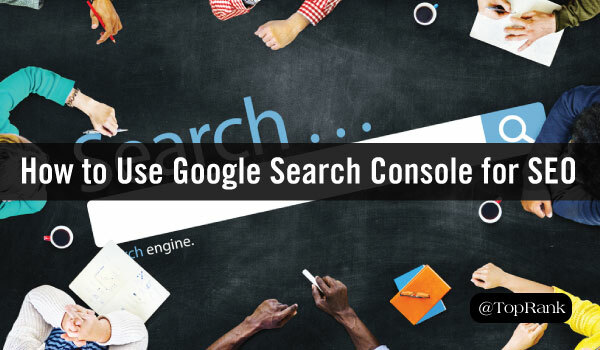 Google states that anyone with a website should use Google Search Console. One great thing about Google Search Console is that it is easy to use for whoever has access to the property. You will get the complete view by setting up all the versions of your domain. Besides setting up properties for each version, you can also setup properties for an individual subfolder on your site. By setting up a property for a subfolder, you will be able to see metrics for a specific section of your site, which can be beneficial for large sites. We recommend the verification method that would be the easiest and most efficient for your site. The most common verification methods we recommend are either via Google Analytics or Google Tag Manager. Otherwise, we typically recommend adding the HMTL tag to the site’s header. One of the first main sections of Google Search Console is the “Search Appearance” section. This section is important for webmasters to understand how their website is currently setup and how it may potentially show up on a Search Engine Results Page (SERP). Within the search appearance section is information regarding structured markup, rich cards, HTML improvements (metadata information), and Accelerated Mobile Pages (AMP) setup. Each area within this section is important to track monthly, but the HTML improvements area provides insights that is helpful when optimizing a website. This area can surface insights regarding duplicate meta descriptions and title tags. It also states when content is non-indexable, which can make a significant difference when prioritizing your optimization efforts. The next section in Google Search Console is the “Search Traffic” section. This section provides insights regarding the keywords your site is showing up for, linking metrics from external and internal sources, any manual actions, international targeting metrics, and the mobile usability of your website. Each area within the Search Traffic section is important, but the majority of your time will most likely be found analyzing the Search Analytics tab. The Search Analytics tab shows the keywords that your site is showing up for. You can break down the tab into multiple subsections between clicks, impressions, CTR, and position. If that isn’t enough for you already, you can then dive deeper into the metrics by individual pages, keywords, countries, devices (desktop, mobile, tablet), search type (web, images, videos), search appearance (AMP or rich snippets), and the date range (within 90 days). The search analytics tab is a very powerful SEO tool. You can analyze your site for keyword opportunities on a page or a section of your site. You can also drill down into how your mobile keywords are performing compared to your desktop keywords. At TopRank Marketing, we use this tab to identify SEO strategies to help increase organic visibility by re-optimizing content that has multiple keywords ranking on the bottom of page one or the top of page two. We also use the tab to guide the creation of our content plans for different SEO campaigns. The second tab you should spend more time on is the mobile usability tab. This tab outlines if your website is mobile friendly or not. It is important to stay on top of any mobile usability issues so that your site renders correctly for all types of devices, especially with Google moving to the mobile-first index. The third section in Google Search Console is the “Google Index” section. This section is useful to understand how many pages are included Google’s index and if there are any blocked resources on your site. The index status tab is useful when analyzing if Google is indexing all the pages you want included in the SERPs. It is good to check the pattern of the index status of your website so that the number of pages is growing consistently or not dropping off quickly randomly. The blocked resources tab is a great way to easily identify if certain pages are blocked from Googlebot. Make sure you check this tab to optimize the crawling of the pages/resources that you want being crawled by Googlebot. You can also remove URLs temporarily from the Google index with the remove URLs tab. This tab is useful when you need to remove a page quickly. As a note, the tab only removes the page temporarily (around 90 days) and you still will need to update your site to permanently remove the page. The last main section of Google Search Console is the “Crawl” section. This section provides smart marketers information regarding broken pages or files on the website, crawl stats from Googlebot, and URL parameter information. The section also provides tools to submit your content to Google, test your robots.txt file and submit your sitemap to Google. The crawl errors tab is one of the more important areas within Google Search Console. This tab shows the URLs that might be broken from both internal and external sources. At TopRank Marketing, we often recommend implementing 301 redirects for the crawl errors that actually were pages at some point. It is important to audit the list to make sure you are not implementing redirects that are not needed. Another useful tab is the sitemaps area, because you can submit your sitemap to Google to make it easier for your site to be crawled and indexed. Similarly, you can also submit individual pages to Google with the fetch as Google tool. The fetch as Google tool is a great way to get your updated content indexed quickly. Google Search Console is a very powerful SEO tool for multiple reasons. We recommend using Google Search Console when running SEO campaigns to maximize your visibility and to plan the overall strategy. To increase your organic visibility for other search engines, make sure you use Bing Webmaster Tools as well to gain more insights. I am currently working hard to increase my SEO for my website and these tips are super helpful. Sorry to ask but do you have some more quick tips on how I can improve my SEO and website visitors? Search Engine Optimization is the most vital things nowadays. Its importance and methods of increasing are described by you in easiest way . Thanks and regards. Being an SEO Analyst i must say these guidelines are very effective for beginners, Through google web master you can monitor your over all SEO strategy.